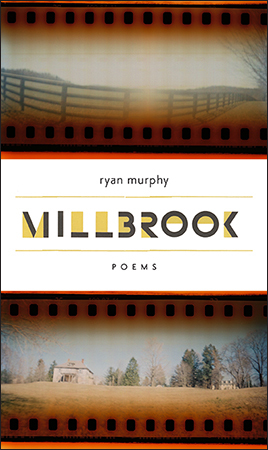 We are proud to announce the publication of Ryan Murphy’s new poetry collection, Millbrook. The beautifully designed paperback of 74 pages can be purchased here for $15. Sounds of the seasons abound in Millbrook. Yes, it is not summer. And Ryan Murphy tells you about how you’ve been through all this before: the staying the going the staying. He tells you that the wind will fix it all. Like some Usher—even more fucked-up than Usher—the poet collapses in his house’s walls. But there the flowers always hold hope and fear in their own seasons. Ryan Murphy is the author of The Redcoats and Down with the Ship. He has received grants and awards from the Aldrich Museum of Contemporary Art, Chelsea Magazine, The Fund For Poetry, and The New York State Foundation for the Arts. He is an associate director of Four Way Books. This publication was made possible, in part, by a CLMP NYSCA NYTAP Regrant. Special thanks to our friends at the Community of Literary Magazines & Presses and Fractured Atlas.